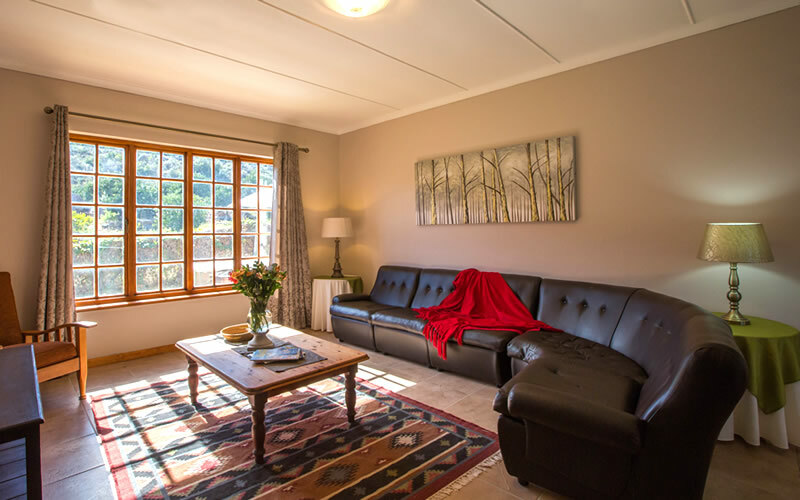 Skimmelberg Getaway can accommodate up to 8 people in total and is a lovely getaway for a family or a group of friends, but it is perfectly suitable for a couple as well. 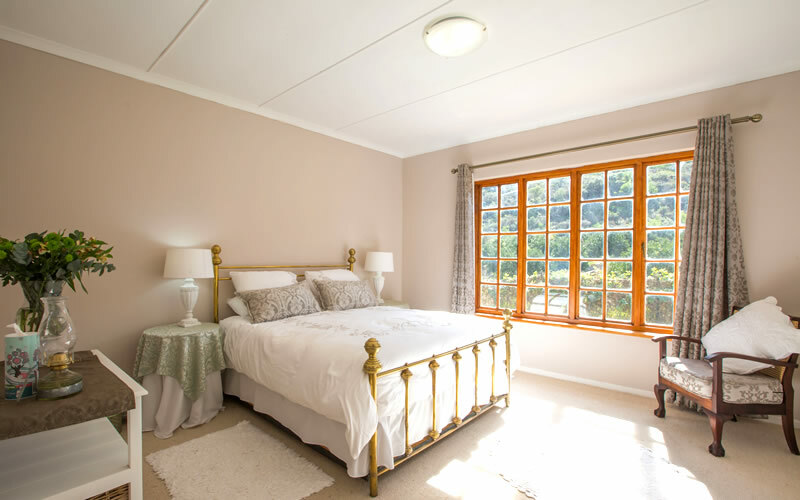 The house is very well equipped for self-catering, but light breakfasts can be provided on request. 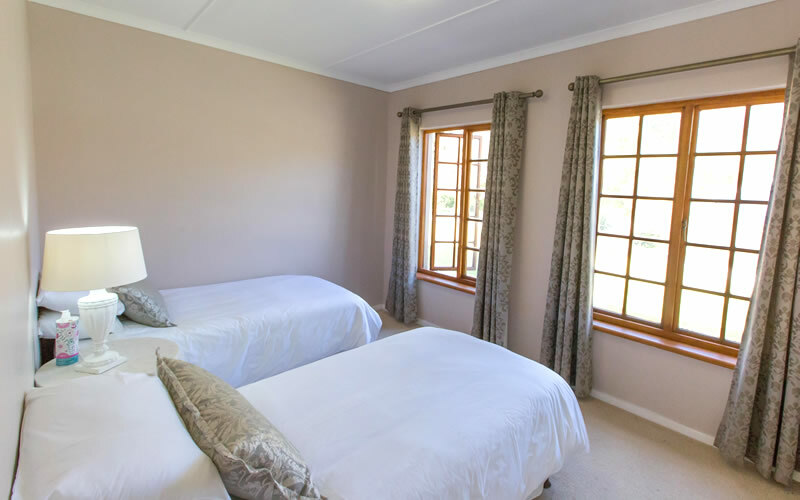 The house has 4 double bedrooms, 1 with full en-suite and the other 3 bedrooms sharing a full bathroom with a separate toilet. The open-plan living area has comfortable seating, as well as an 8-seater dining room table. There is also a well-equipped kitchen, with dishwasher, washing machine and dryer. The rooms all have heaters, and bed linen and towels are provided. 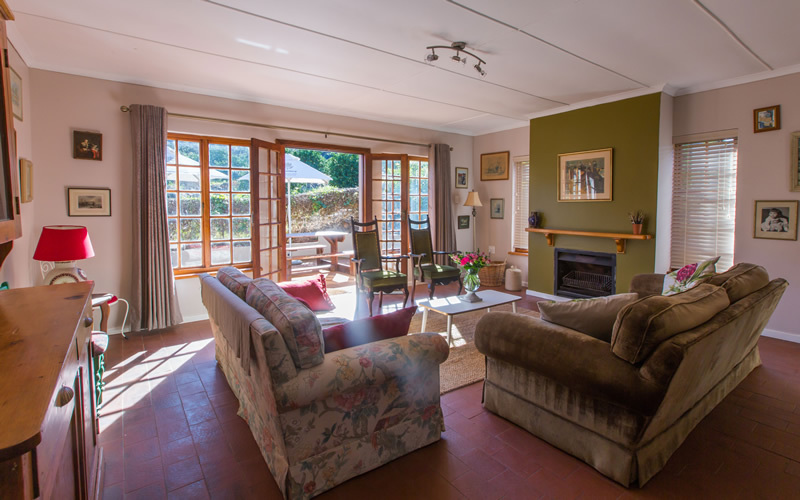 The house has an indoor fireplace and braai facilities outside on the stoep. Fire wood is for sale on the farm. Buchu and Rooibos Tours available to guests at a reduced rate. Prior booking is essential. Washing and ironing services available. A 100% deposit will secure your booking. No refund if cancelled 14 days or less to arriving.